New Caledonia agreed Tuesday to tougher protections around a huge swathe of some of the world's last near-pristine coral reefs, in a move conservationists hailed as a major breakthrough. The Pacific nation, a French overseas territory, is home to a rich array of wildlife including 2.5 million seabirds and over 9,300 marine species, such as dugongs—marine mammals related to manatees—and nesting green sea turtles, many of which thrive in and around remote zones off the island nation's coast. The archipelago boasts some of the world's healthiest reefs, including Astrolabe, Petrie, Chesterfield and Bellona, which are considered exceptional examples of coral ecosystems. 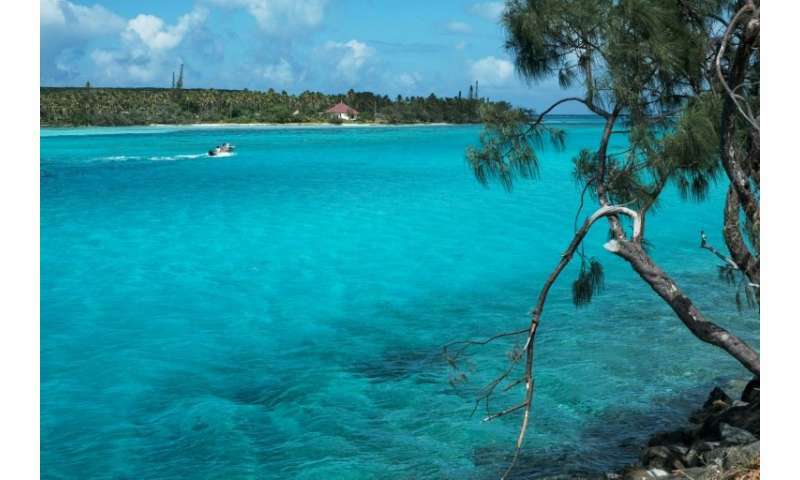 After years of work, the New Caledonia government Tuesday voted to set up marine protected areas (MPAs) surrounding the reefs, and to strengthen an existing one around Entrecasteaux, which is already a UNESCO World Heritage site. The move will see 28,000 square kilometres (10,810 square miles) of waters safeguarded from commercial and industrial fishing and other exploitation, helping conserve habitats and allow marine life to feed and reproduce undisturbed. Tourist activity around the reefs is also set to be more rigorously controlled. According to the South Pacific Tourism Organisation, New Caledonia had 27,000 visits in the first three months of the year, making up around six percent of trips to the South Pacific region. "This is the kind of leadership we need to see in coral reef conservation and we applaud it," said John Tanzer, the head of oceans for WWF International. "With good management, these marine protected areas will help maintain fish populations and ecosystem health that will build the reef's resilience to the impacts of climate change in future." Christophe Chevillon, head of the Pew Bertarelli Ocean Legacy in New Caledonia, which helped draft the plans, said it would elevate the territory as a global leader in ocean protection, but more could still be done. "Although we believe this to be a major breakthrough, we are convinced that New Caledonia can still go further and lead the way for other Pacific countries," he told AFP. "In fact, the 28,000 square kilometres protected only represents two percent of the Coral Sea Natural Park." The MPAs fall within New Caledonia's enormous 1.3 million-square kilometre Coral Sea Natural Park, which was established in 2014 and covers the country's entire exclusive economic zone. Protections here, such as limiting shipping and banning shark, turtle and whale fishing, are not as comprehensive as under an MPA. Coral reefs, which only cover 0.1 percent of the ocean's surface but support a quarter of known marine species, are on the decline globally, threatened by climate change, pollution and overfishing. WWF estimates the world has already lost about half of its shallow water coral reefs.